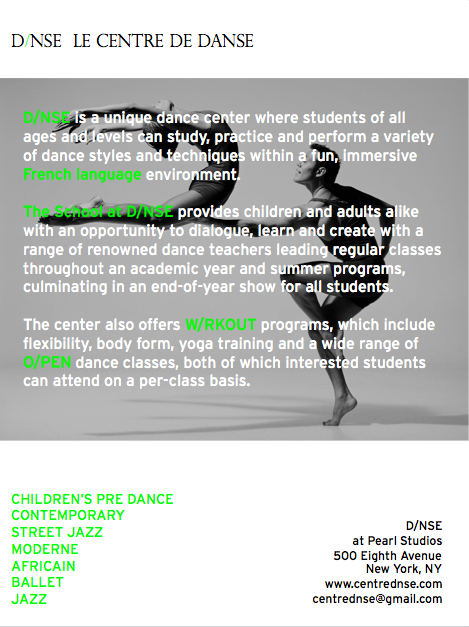 D/NSE is a unique dance center that offers different dance classes ranging from the contemporary to the street jazz, classic to modern; all in French! 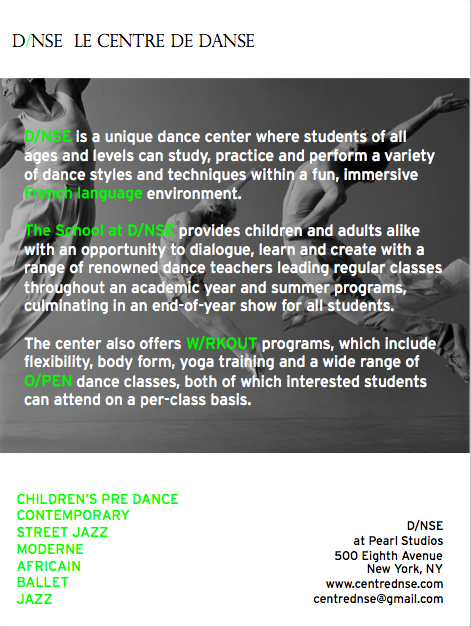 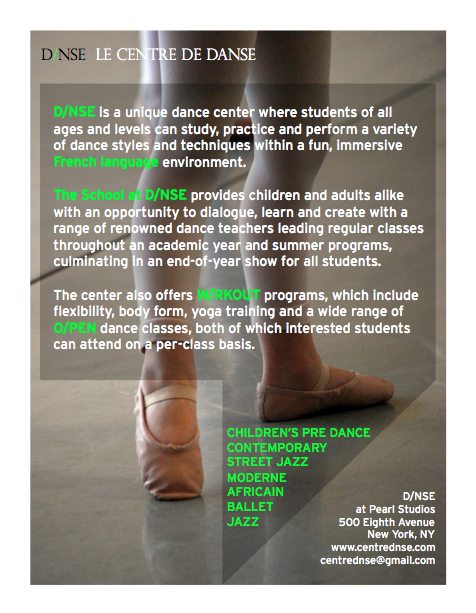 D/NSE is a unique dance center that offers various dance classes ranging from contemporary to street, jazz to classical, all in French! 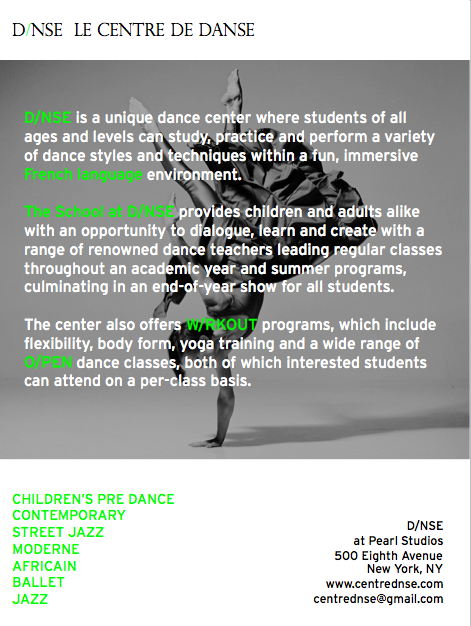 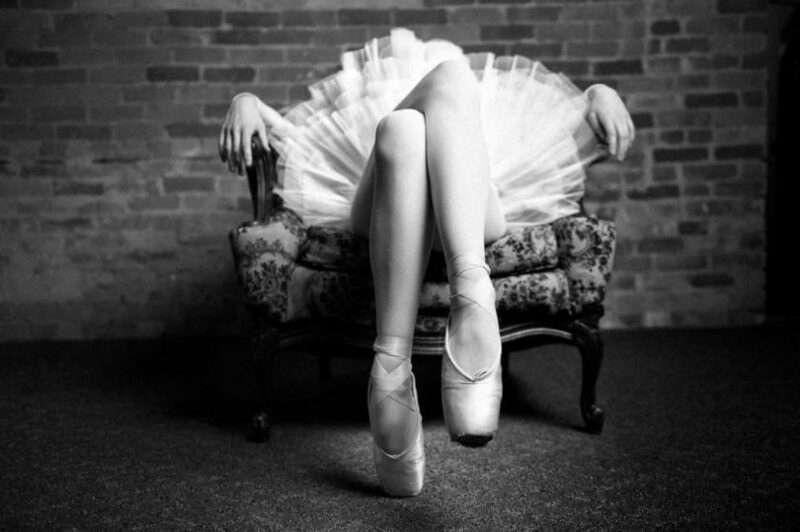 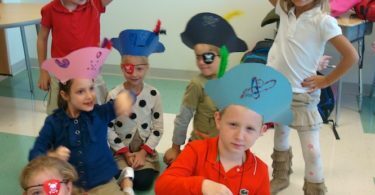 Francophiles, francophone children and adults, beginners and skilled dancers; D/NSE will find the perfect class and dance level for you, so that you can express yourself through dance.